Traditional French national costume. Man from Burgundy. 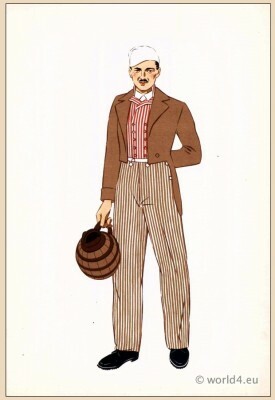 Costumes Nationaux by Lepage Medvey, Editions Hyperion, 1939. Homme de Bourgogne.